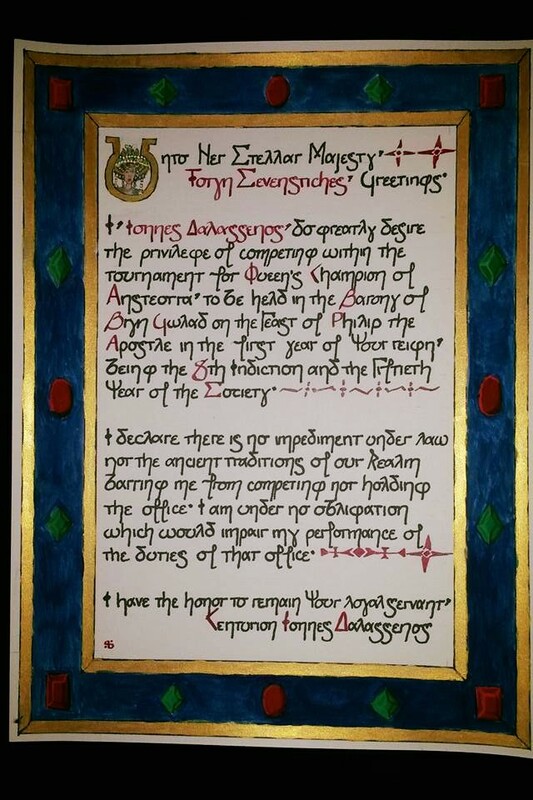 Some of the skills I’m trying to improve on are my calligraphy and illumination skills. I’m kind of concentrating on Eastern Roman Empire (Byzantine) styles for now. 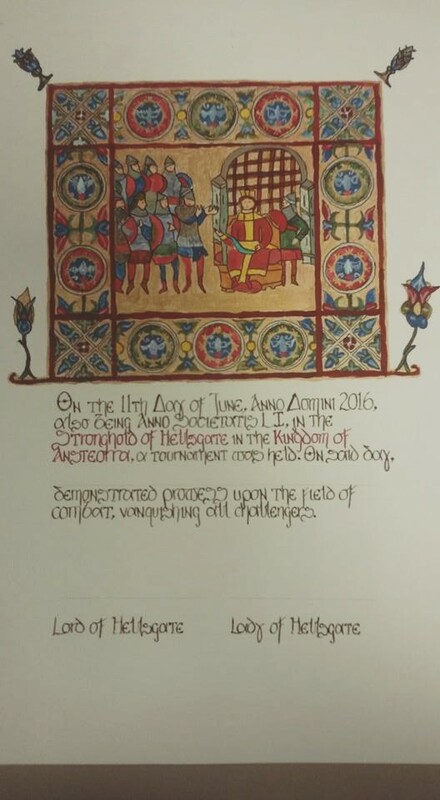 Not many people in my area are doing this style, and I like the way the calligraphy and illumination look. These are two of the pieces I’ve done for a friend, even though I haven’t been playing in the SCA. They came out pretty good, though I can still see lots of room for improvement.